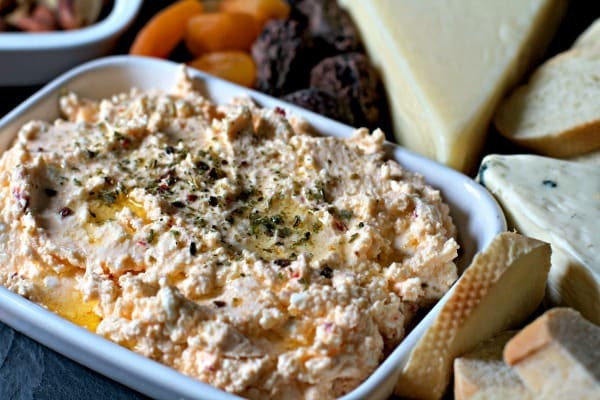 This Greek Spicy Feta Dip is perfect for easy holiday entertaining. Made with salty, creamy feta cheese and spicy peppers, it’s a tasty addition to any cheese board. 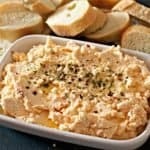 This Spicy Feta Dip recipe is sponsored by Stella Cheeses, but the content and opinions here are my own. Tis’ the season to party y’all!! 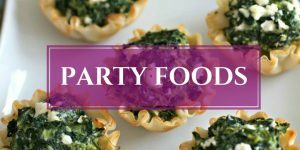 Stella Cheeses and I are collaborating together to show just how simple entertaining can be this holiday season with an easy whipped feta cheese dip. Tirokafteri is a spicy version of the classic Greek feta cheese dip, tyrosalata. Adding chopped spicy red peppers makes it so flavorful, without being overpowering. I serve this dip quite often as an appetizer when we entertain. Feta cheese is a cheese I always have on hand and it takes less than 10 minutes to whip this up. Plus, the leftovers make an awesome sandwich spread (helllloooo leftover-Thanksgiving-turkey-grilled-sandwich-with-a-thick-smear-of-spicy-feta-dip!). The dip also makes a delicious compliment to a cheese board. Everyone knows, a cheese board is the epitome of effortless entertaining. I adore a beautiful cheese board and have always thought of one as if it were Brad Pitt: attractive, elegant, super easy, and most people are pretty darn happy to see it. Well, except maybe vegans. Although I don’t think vegans necessarily have a problem with Brad Pitt. Whenever I make a cheese board, I love to add a couple of my own special personal touches, like adding a homemade cheese dip and using bread slices instead of store bought boxed crackers. Just pick up a good quality french bread baguette from a local bakery, cut it into 1/2 inch slices, and use the slices as-is or lightly toast them. It’s a delightful change from the typical crackers. Start by adding a variety of your favorite Stella Cheeses on a pretty serving surface. 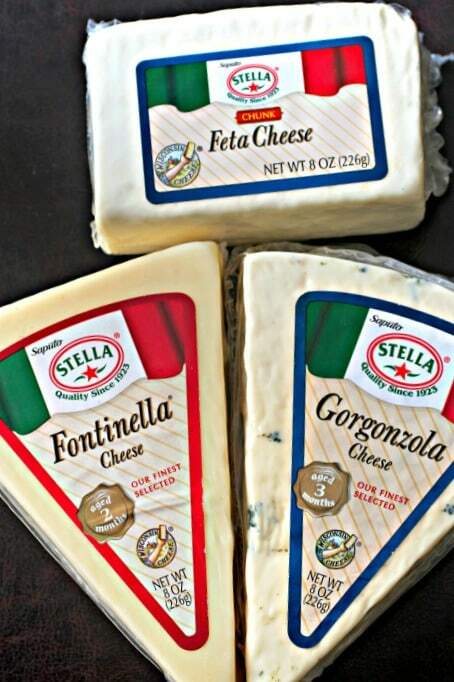 Stella has been producing quality cheeses since 1923, so no matter which type you choose, it’s gonna be tasty! I used fontinella, gorgonzola, and, feta. 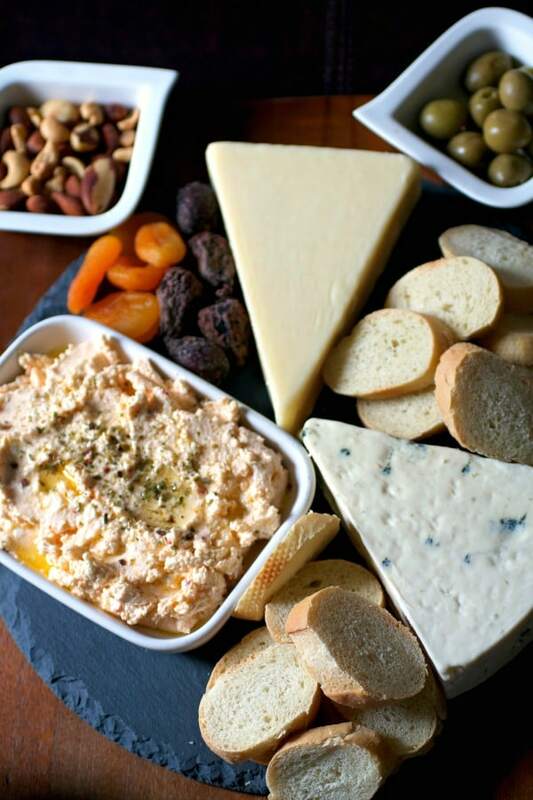 Fill in all the spaces around the cheeses with an assortment of dried fruit, fresh fruit, little bowls of olives and nuts, the fresh bread slices, and the spicy feta dip. Now set this baby on the table, then stand back and watch people gush over you and this delicious dip on this amazingly cheeseboard! 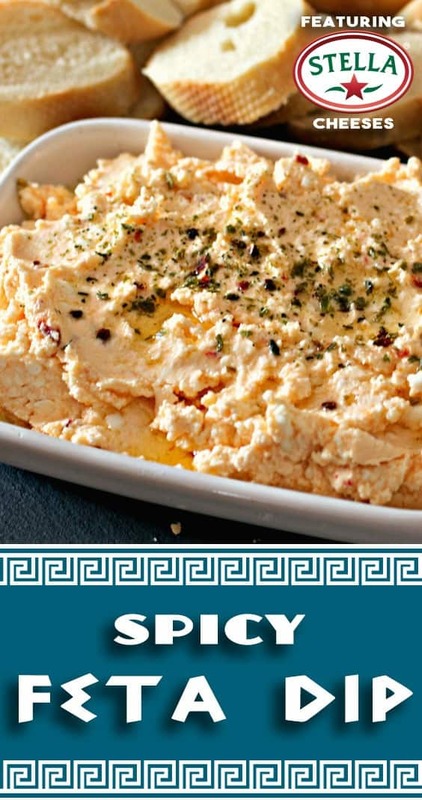 So get cheesy with it and plan a holiday party featuring this spicy feta dip and please let me know in the comments how you like it! 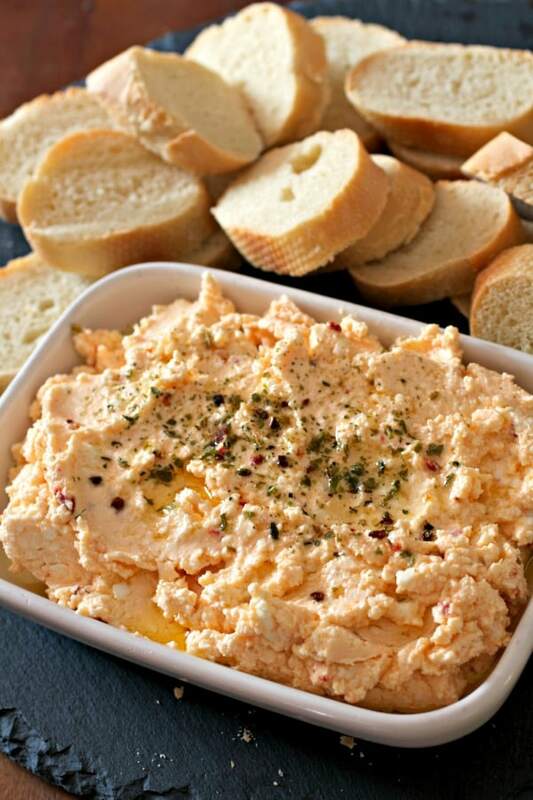 This Spicy Feta Dip is perfect for easy holiday entertaining. Made with salty, creamy feta cheese and spicy peppers, it's a tasty addition to any cheese board. 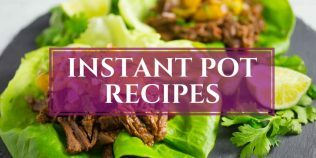 In a small food processor, combine all ingredients and process until smooth. Add more olive oil, a little at a time, as needed to produce a smooth and creamy textured dip. 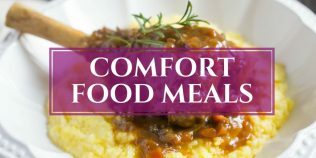 Serve immediately or place covered in the refrigerator for at least one hour to allow flavors to develop. Can be topped with a drizzle of olive oil and a sprinkle of fresh or dried oregano. Leftovers will keep covered in the refrigerator for up to 5 days. This looks amazing!! What kind of spicy peppers do you use? Thanks Karen! 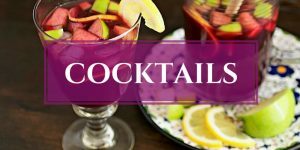 I used hot cherry peppers but you can use any of favorite spicy peppers in this recipe. I love cheese in any combination and this might be one of the greatest. Good job Karrie! Oh my, that is yummy! We love feta cheese, (as well as all kinds of cheese actually ), and this dip with that spicy kick is just perfect! Perfect for entertaining. Thanks Karrie! Oh my goodness! I love making cheese appetizers like this around Christmas. And generally there’s no limit to the amount of feta I can consume. So I am so trying this! The epitome of effortless entertaining with a Brad Pitt cheese board sounds good to me! That dip looks like the perfect addition to the traditional cheese tray. Love the video! Pinned! Love a good cheese board. A brad pitt cheese board? I am on board with that! 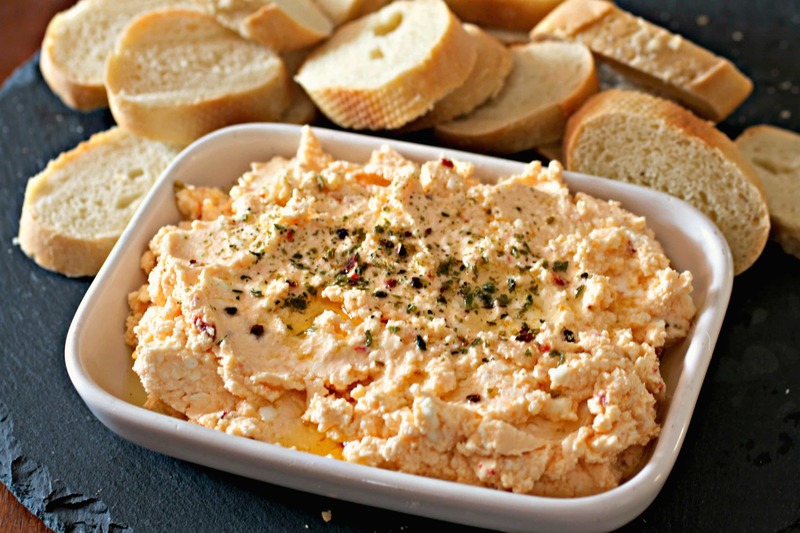 Spicy feta dip is one I am going to have to add. 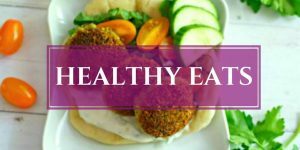 Shake it up a bit instead of the same old same old hummus. There’s nothing better than fresh french bread and cheese dip (Well, any dip indeed, but especially cheese one), Karrie! This feta dip looks great (Probably I would have slightly wipped it). Indeed, the whole cheese board looks fantastic, and I would easily eat everything (minus the board…well, even the board looks great. Am I hungry? ):) Nicely done! This feta dip is the kind of thing I crave most often! Attractive, elegant, super easy and salty…everything I look for in my snacks and leading men! 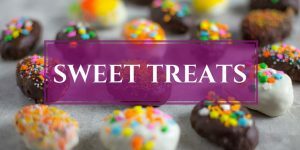 (Minus the salty….they need to be sweet!) This is a perfect addition to any cheese board my friend! LOL Brad Pitt WISHES he was a cheese board! There’s not a sight more tantalizing to me! This looks incredible..I love that it’s got a kick..plus feta cheese? YES please! Can you make this warm??? Hi Rachael, I haven’t tried it warm but thinking it could be made that way. Feta doesn’t really melt well, it just heats to a spreadable consistency. If you are looking for more of a gooey, creamy dip, you could mix the feta with regular cream cheese, add the peppers, and some dried oregano and/or basil. 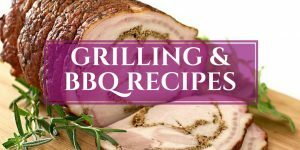 Leave out the olive oil, lemon juice, and red wine vinegar. Place in an ovenproof dish and bake at 350 until heated through. If you try this, please let me know how it works and I’ll update the post!